Old Town isn’t just in your backyard, it is your backyard! Take advantage of the best 55+ lifestyle at Delta Hawaii, and all that Pittsburg has to offer. Delta Hawaii 55+ community offers distinctively designed homes and exceptional surroundings. This Northern California paradise gives you affordability with lifestyle enjoyment in beautiful homes for exceptional 55+ living. 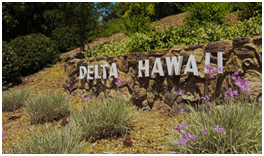 Nestled on shaded tree-lined streets and accented with majestic palm trees, Delta Hawaii is located approximately 45 minutes north of San Francisco in historic Pittsburg, California. Pittsburg, CA has been a city in motion for a century and a half. Located where the Sacramento and San Joaquin rivers meet, it’s a mix of progress and promise. This area was originally known as New York Landing and thrived on fishing and canning industries. In 1942 Camp Stoneman was constructed and greatly impacted the city and its growth. Camp Stoneman, for thousands of GIs who went to fight in the Pacific operations during World War II was their last contact with home. In 1954, the Camp was closed and the property was added to the City of Pittsburg for commercial and residential development. From a struggling settlement to an industrial center, Pittsburg has grown into a pleasant community of landscaped parks, recreational facilities, shopping centers, affordable housing and planned business and commercial development. 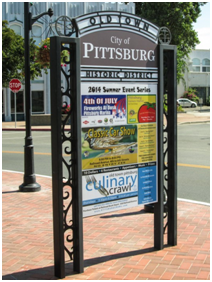 Pittsburg’s beautiful new Old Town and Marina district comprise the jewel in the crown. Recently rebuilt after years of neglect, Pittsburg’s Old Town has become the center of fine dining, unique shopping and professional services in the area. 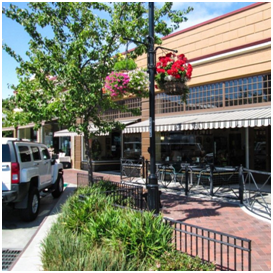 Our recently renovated marina is located within steps of the main Old Town shopping district and downtown living. 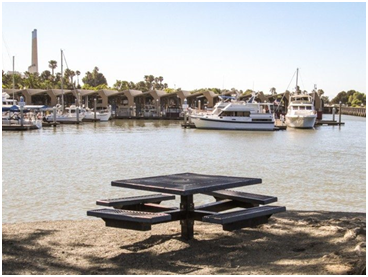 With nearly 600 boat slips, a free public boat launch, fuel dock, cafe, bait shop, and Pittsburg Yacht Club, the Pittsburg Marina is the finest on the Delta. New home models include two or three bedrooms, 2 baths, spacious living and dining rooms, beautifully appointed kitchens and low-maintenance exteriors. Some include friendly front porches, breakfast rooms, fireplaces, and garages. And, for those who prefer to rent a carefree, affordable alternative to purchasing a home, we offer Delta Hawaii Apartments. Planned, designed and built by the Temple Companies with over a half-century of experience and know-how in creating thriving lifestyle communities. Close to amenities, entertainment, restaurants, shopping, marinas, and more, it’s easy to see why Delta Hawaii enjoys unrivaled popularity with active adults. There’s a lot to do in Pittsburg, especially for the member of the Delta Hawaii community. Pittsburg is the home of Magnolia Dairy Ice Cream brand founded in 1925. Plus, Pittsburg has its own professional baseball team. The Pittsburg Diamonds with home games in City Park Field. For starters, when you leave your Delta Hawaii home you are within proximity to: Old Town Pittsburg–full of exciting things to do, food and drink to enjoy. You’ll find shops with just what you’re looking for. There are many landscaped parks, shops, a theater, and many special events and more. You will enjoy living in a beautiful Delta Hawaii home and the beauty of Old Town, Pittsburg. Delta Hawaii in Pittsburg California: the very best lifestyle at the very best value, waiting to welcome you! It’s not only the home you live in; it’s the surroundings that make the experience at Delta Hawaii totally unique. Pittsburg offers just about every attraction, point of interest, and amenity you can imagine.